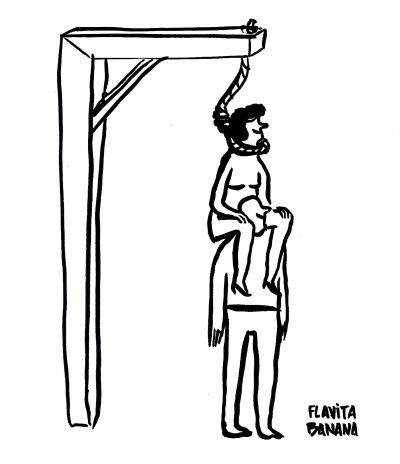 Flavita Banana is a Spanish cartoonists that portraits “the uncomfortable”. With a simple stroke and a few words, she shows the irony behind sadness, everyday life, and conformity. Her characters, often women, force the viewer to face uncomfortable realities, provoking a bitter smile. She collaborates periodically with vignettes in various publications and in 2017, she published her first book “Las Cosas del Querer”.